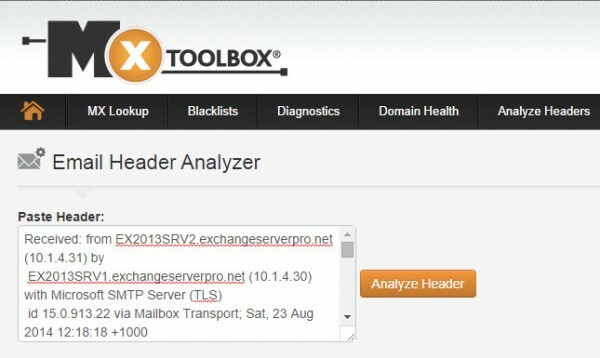 MXToolbox also has a section of the website for analyzing message headers. Again simply paste the header information into the field provided and you get a nice, graphical report out of it. 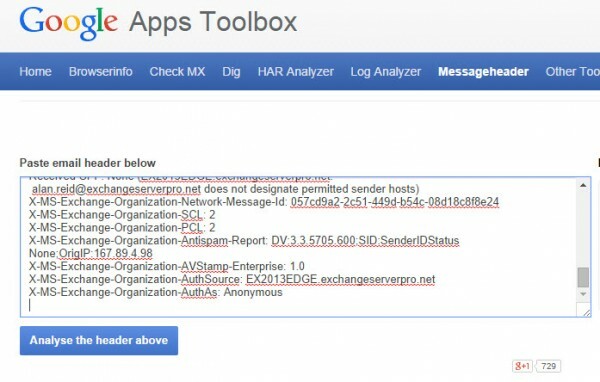 Finally there is the Google Apps Toolbox which includes a Messageheader analyzer tool that has similar functionality to the others. 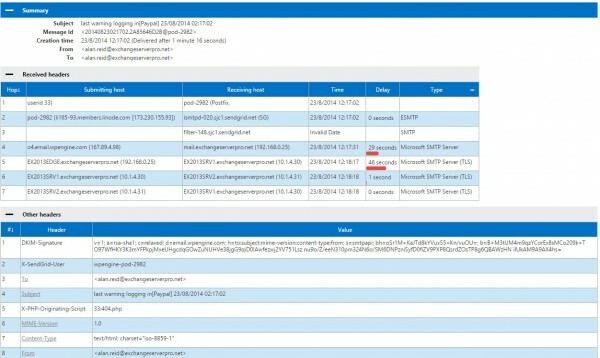 As you can see reading email message headers provides you with a lot of very useful information for diagnosing email problems. 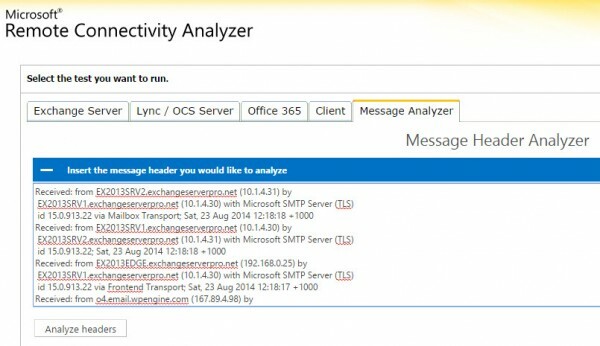 You can retrieve email messages easily using email clients such as Outlook, and then use any of the third party message header analyzer tools to produce an easy to read report from that message header data.